Those horrible and creepy lyrics are from 80’s hair-metal band Winger’s song, “Seventeen.” In this case, the “she” is the gorgeously plump lobster roll from Westbrook Lobster and the “only” is sarcastic. Even though lobster prices are pretty much lower than ever, these two (admittedly) filling rolls still cost me a tank of gas. I don’t mean to sound cheap, but you have to admit… that’s an expensive sandwich. It better be darn good. First, let’s clear up some confusion; namely, why isn’t the Westbrook Lobster House in Westbrook? 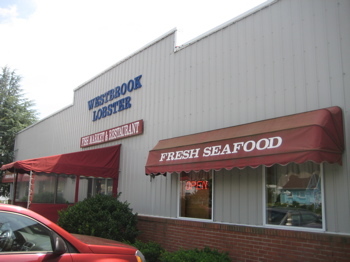 In 1957 Westbrook Lobster opened in Westbrook, CT as a specialized lobster market. As time went on, Westbrook Lobster expanded to offer a comprehensive range of fish, shrimp and prepared foods. ‘Tis true. In 2009, Connecticut Magazine named this joint their best. What’s more, Westbrook Lobster opened up another location in Wallingford of all places. It overlooks the Quinnipiac River in the historic Yale Brother’s Mill built in the late 1670’s. Originally a grain mill, later converted to a German and Brittania silver spoon factory, and finally converted into a restaurant. The building is rich with history. 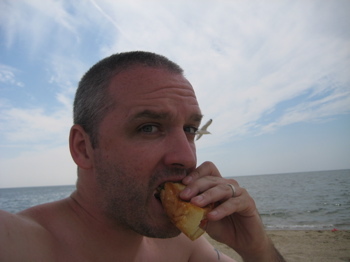 I procured my rolls from the Clinton location while Hoang lounged and sunned a couple miles away at Hammonassett Beach. This was going to be a good day. 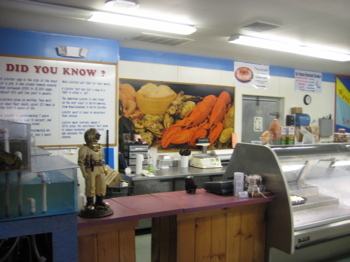 As the restaurant’s name suggests, lobsters are the specialty of the house; and in addition to the fine lobster rolls, you can get yours steamed, baked-stuffed, picked out of the shell in a buttery casserole known as lazyman’s lobster, as lobster Savannah (in a creamy mushroom sauce), and as lobster Newburg. Whole live lobsters are available to go; and Westbrook Lobster is set up to next-day-air ship them anywhere in the US. I happen to love Clinton. 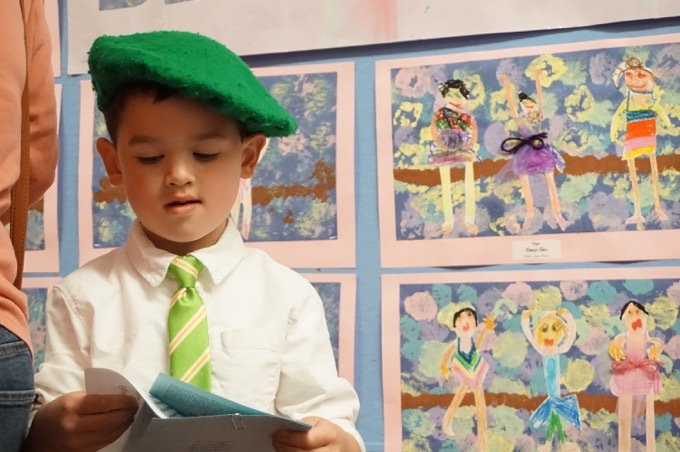 First off, there is an array of museums, it’s beautiful and New Englandy, and is nestled between the more popular Madison and Westbrook. Westbrook Lobster has a sit-down restaurant, a tiny bar area, and a retail space. It appeared impeccably clean and well managed. I procured my two rolls and then returned to find Hoang lying about on the beach. I knew the rolls were going to be chock-full of lobster meat, simply by the weight of the bag. Wow. These things are wonderful. 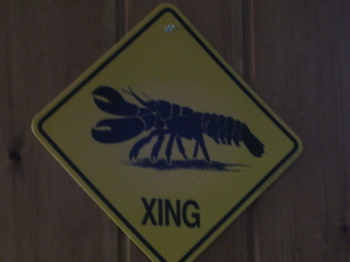 Each contained 1/4 pound of lobster meat – huge hunkin’ chunks of lobster meat. Served on a toasted buttery bun, New England style, I got us the cold rolls to better compare them to the other roll on the list (Johnny Ad’s) and because who wants to eat a hot sandwich sitting on the beach? Westbrook Lobster uses much less mayo than Johnny Ad’s does – or anywhere else for that matter. But they do use giant tomato slices, which worked for me. A little celery and a little lettuce and – you know what? It doesn’t matter; it’s all about the MASSIVE chunks of lobster meat here. 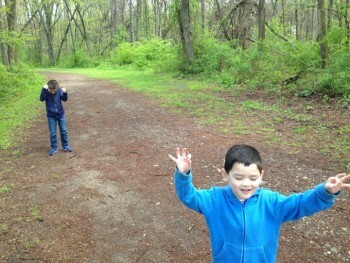 They were awesome. 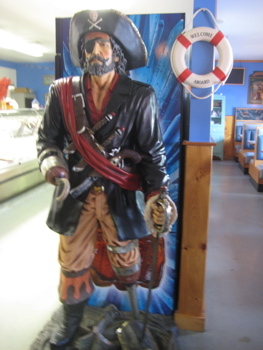 The slaw was fresh and crunchy and the fries and onion rings were also not too heavy or greasy… All in all, I forgot about how much they cost as I drifted off to nap on a perfect beach day. 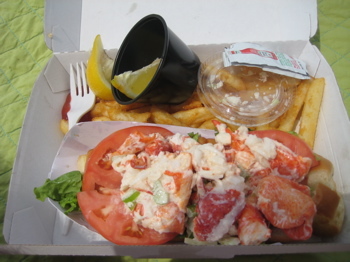 Note: I have a great picture of Hoang taking a big bite of her lobster roll in a black bikini. 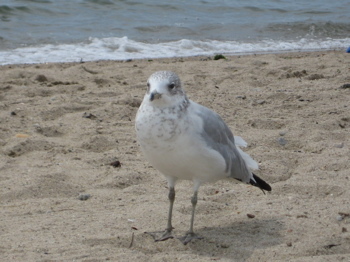 In deference to her modesty, you don’t get to see that and get a shot of me with a seagull coming out of my eye instead. Enjoy! I’m not sure the Westbrook Lobster in Wallingford is as nice inside as your description of this one, but its a good restaurant, and we’ve enjoyed every meal we’ve had there. I think I’m going to have to skip my Teriyaki Salmon next time and try the lobster roll. I’m going for the hot one with butter – yummy!